Hmmm folks the cult game, Max payne's movie version seems to be finally ready to hit the screens ...so without much ado here's the low down..
Based on the hard-hitting interactive video game, "Max Payne" tells the story of a maverick cop determined to track down those responsible for the brutal murder of his family and partner. Hell-bent on revenge, his obsessive investigation takes him on a nightmare journey into a dark underworld. As the mystery deepens, Max Payne is forced to battle enemies beyond the natural world and face an unthinkable betrayal. Mark Wahlberg, Mila Kunis, and Chris 'Ludacris' Bridges as part of the main cast. The trailer of the movie is quite good, well i found it awesome. From the looks of it though, the ppl seem to have stuck to the same storyline which makes the Max Payne franchise so appealing. 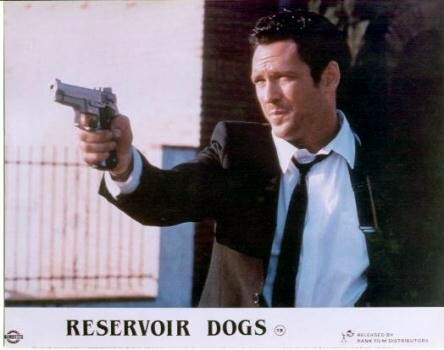 But, some viewers are of the opinion that Micheal Madsen(Kill Bill,Reservoir Dogs etc.) would have suited the role of the troubled,insomniac,painkiller-popping policeman much better. I have put a video some people put up at you-tube for the same(by the way for folks who are dumb: the date at the end of the video is fake)... and u know wat? ?..i felt the same at one point heh heh..but our Marky mark's not to be ignored folks...wat say u? Hopefully, this movie will fare better than the other game movies which were made earlier(Hitman being the most recent among the cult ones)..most of which fell flat in the box office, the USP of this one being the good dash of hollywood movie stylization of the game itself. The winged guys flying all over the place seem to be an addition though, hope they dint go overboard with the feathered fiends ;P.
Max Payne directed by Irish filmmaker John Moore, with screenplay written by first-time writer Beau Thorne and Mark Wahlberg in the lead hits screens this October 17th.